This week, Eric Anthony flies solo and takes some time to review a few recently released Marvel Comics collected trade paperbacks. 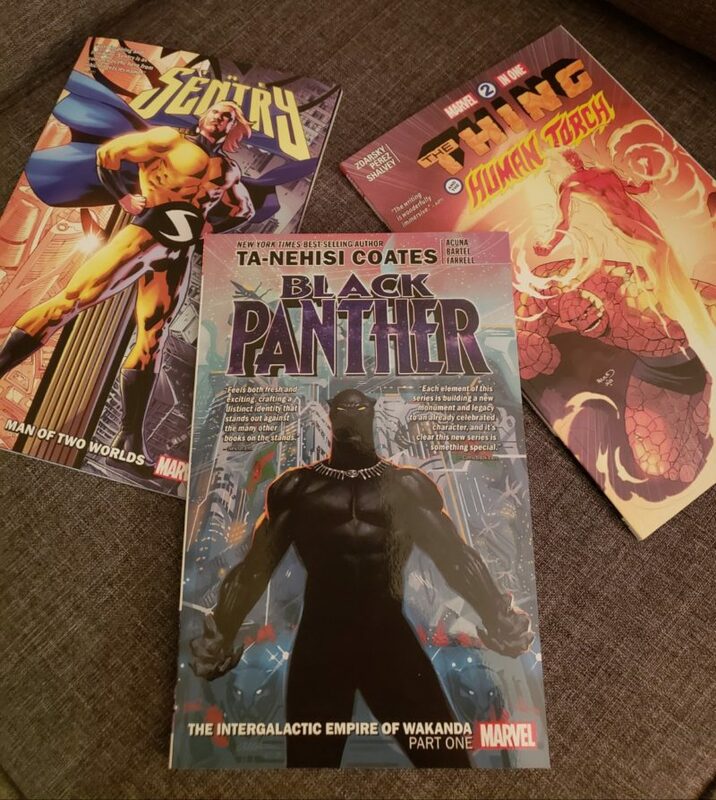 Included in the stack are Vol 2 of Marvel 2 in 1 by Chip Zdarsky and Ramon Perez, Black Panther vol 6 by Ta-Nehisi Coates and Daniel Acuna and last but not least The Sentry by Jeff Lemire. As well, we kick off the show and answer some listener email sent to us by good ol’ PVacc. Enjoy the show!